“Chakra” means “wheel” in Sanskrit, and the chakras of humans are wheels of energy. 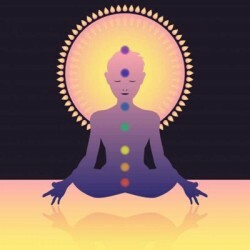 Life force energy flows in and out of us through the chakras. Each chakra has an area of life that its energy affects particularly. If a chakra is closed down or out of balance, the life energies in that area will be affected. Open, strong and balanced chakras make all areas of our life energies better and promote health and healing.